Au Bon Pain is under construction in the Health Innovation Center. After construction setbacks, the bakery is currently expected to open in October 2018. 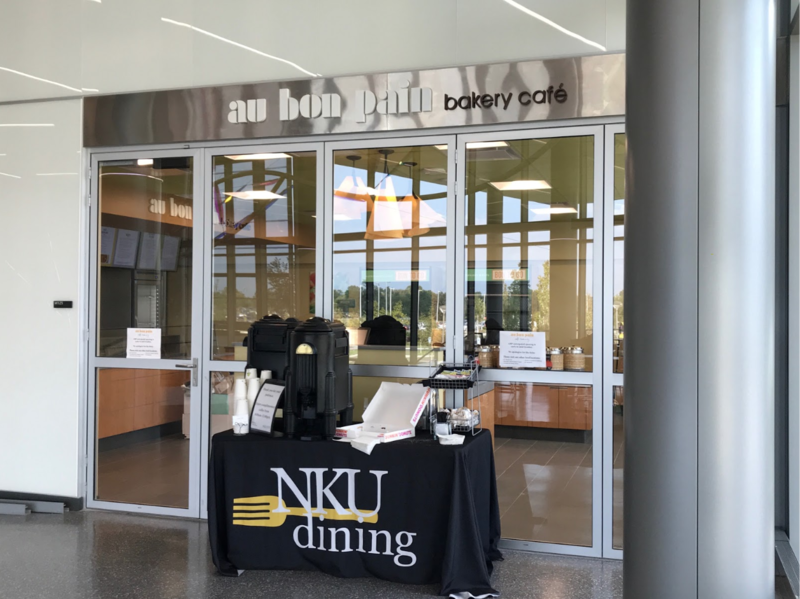 The cafe-bakery was originally slated to open around the start of the fall semester, but has encountered unforeseen construction delays, according to an email sent by Andy Meeks, director of Business Operations and Auxiliary Services. Bidding typically occurs when construction of any sort needs to get done and an organization, NKU in this instance, needs to hire an outside firm to do the work. The bid is the estimated amount of money needed for labor, material and other job-related items. According to Jones, the initial bid was high for the work being done, which put NKU in a position to start bidding over again. “We’d gone through a bidding process with our food service provider. The bids came in higher than we anticipated, so we put it back out for more bidders, which is a month long process,” Jones said. Students can still get bagels and other baked goods at Einstein’s or Starbucks across campus. For soups, salads and sandwiches freshly made, everyone will just have to wait until October. Au Bon Pain, French for “the good bread,” is a division of Panera Bread that serves salads, soups, bagels and other pastries. The Boston-based cafe has over 200 locations across the country and several international stores.